The Georgia children’s bedding collection from Maddie Boo will have little girls loving this pretty-in-pink ensemble. The collection includes a duvet cover, bed skirt, shams, pillowcase, and throw pillows. Large fuschia pink flowers with red centers and accents on the duvet and sham are bright, fun, and cheerful – perfect for sweet dreams! Add a monogrammed throw pillow for a personalized touch. Maddie Boo bedding is custom made so special sizing or design changes are never a problem. Available at DefiningElegance.com. DefiningElegance.com is proud to announce that the Versai Donna bedding collection has added 20 more colors to their collection, making this the largest selection of 600 thread count Egyptian cotton. 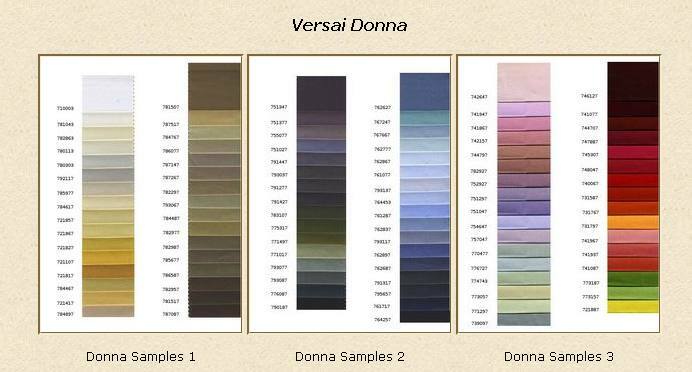 Whether you need to add to an existing collection or want to match your decor, you’ll find that the amazing Versai Donna collection of nearly 100 luxurious colors is the perfect resource for your needs. One hundred colors in an array of hues and tones means more possibilities and more ways to express your individual style. Imagine not having to settle for something that is close but not quite right!